Instagram is such an amazing source of inspiration for me, so it only seemed appropriate to share some of the profiles that I really love and admire with you. So here we go. First up is @49kvadrat. 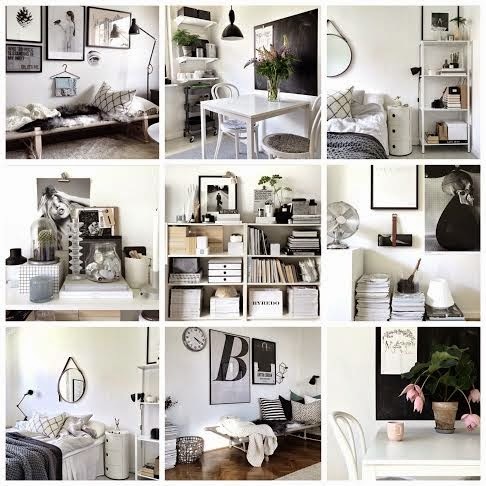 Behind this profile is Tina Johansson, who shares pictures of her beautiful home. When I found her profile, I immediately fell in love with the Scandinavian interior and the fact that Tina has such an amazing ability to create wonderful still lifes. Though the apartment is held in very neutral colours, it's not boring in any way. On the contrary, because of the many things to look at and her great sense of detail, I think this makes the perfect home. No more words needed. Go see for yourselves. source: @49kvadrat with kind permission.